Excerpt: We have had an opportunity to review this Report in detail, and feel that it falls far short of its purpose, which is to provide technical guidance for the development and redevelopment of unserviced shoreline lots in support of Official Plan policies that are protective of water quality, technically sound, defensible, and which meet the intent of the Provincial Water Quality Objectives (PWQO) and Provincial Policy Statement. To view the Lake Water Quality Model Report in a PDF document click here. 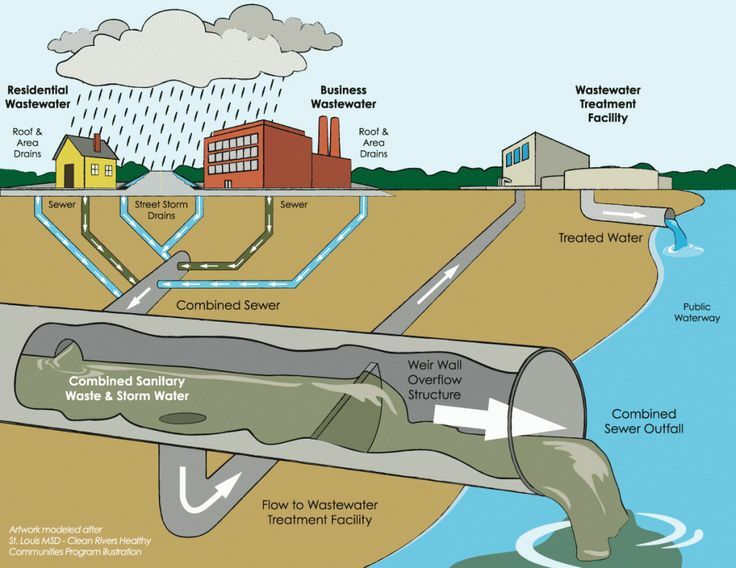 The City of Greater Sudbury is proposing to decommission the Lively Wastewater Treatment Plant (WWTP) and upgrade the Walden WWTP. 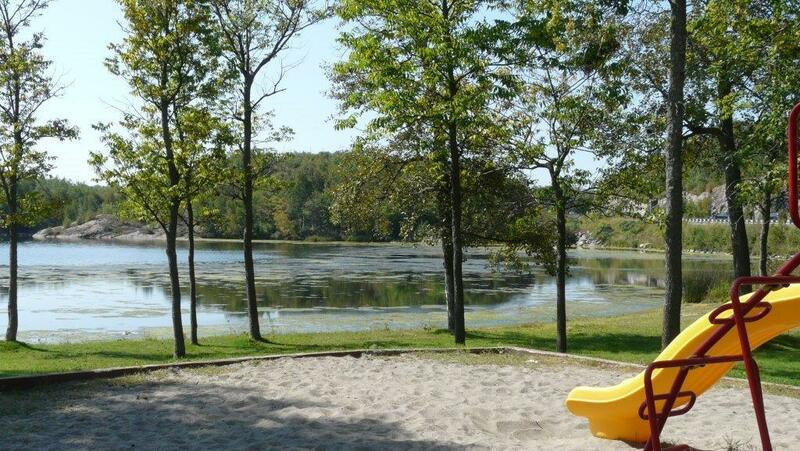 Vermilion River Stewardship (VRS) has requested tertiary treatment, which is a third means of effluent treatment, to improve water quality on the lower Junction Creek, Simon Lake, McCharles Lake, and the lower Vermilion River. VRS is making a request to the Minister of Environment to issue a Part II Order to elevate this proposal to an Individual Environmental Assessment. See attached letter – Click to Download. A brief overview of the challenges the Vermilion River is facing, what the Vermilion River Stewardship is doing to address these challenges, and what you can do to help. Blue-green is not just a summer problem. 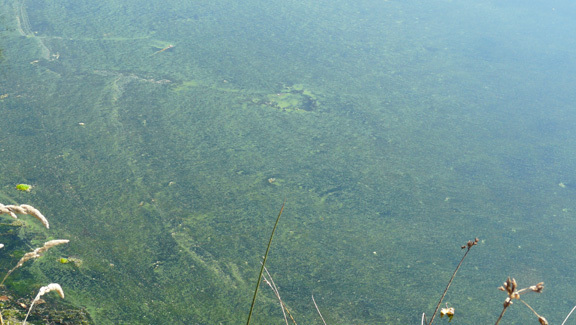 A bloom was reported on 15 February 2013 and has been confirmed. This bloom is reported to have persisted since November of 2012. On September 30, 2011, it was reported that green blobs of something that looked suspiciously like Cyanobacteria, or more commonly known as Blue Green Algae, was seen floating on the Vermilion River. A few days later the Ministry of Environment confirmed our suspicions. In an attempt to find the source of this outbreak the writer visited Centennial Park to observe the conditions on the northern arm of the Vermilion, and that water looked quite clear, however, upon visiting Mud Lake, Kelly Lake, Simon Lake and McCharles Lakes, the Blue Green Algae was also observed in Simon and McCharles Lakes. MOE has subsequently confirmed the outbreak on McCharles, however, based on a picture sent to the officer, he chose not to take a sample on Simon Lake – and it was the Friday before the long weekend after all. However, it was reported that a dead goose was found on the public beach next to the sighting, and there were also reports of dead suckers found floating on Simon. 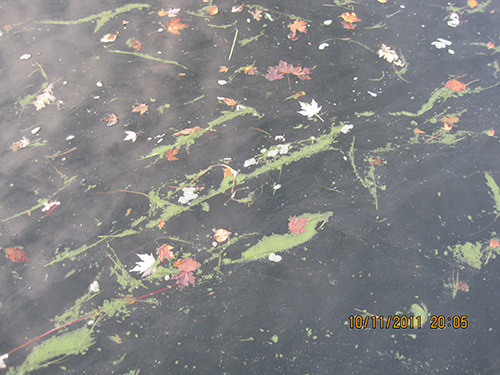 It is not surprising to hear that residents further downstream, on Wabagishik Lake, are also reporting the presence of this blue green scum there as well. MOE has not been called out to take a sample there, and so it is not confirmed. Blue Green Algae blooms, can be highly toxic to people, pets and wildlife, so precautions must be taken. To learn more about how this will affect those people using river water for drinking, swimming, washing, or even eating fish from the river, then you will find some excellent information at Sudbury and District Health Department, and/or Health Canada. 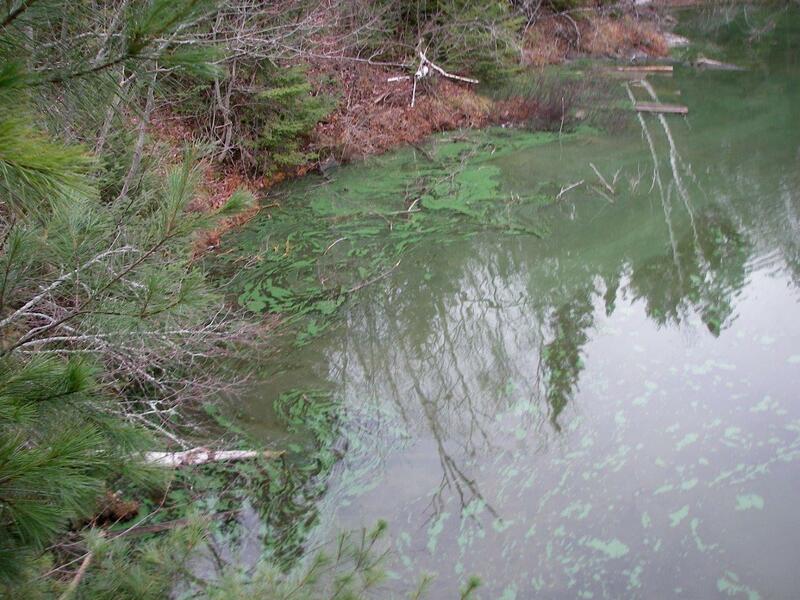 Ministry of the Environment also has an excellent pamphlet Blue-green Algae – Information for Cottagers and Home Owners to round out your knowledge on this subject. You can also check out this excellent slide presentation made by Charles Ramcharan, of Laurentian University’s Fresh Water Ecology Unit, at our Stewardship meeting held on Tuesday, 11 October 2011.